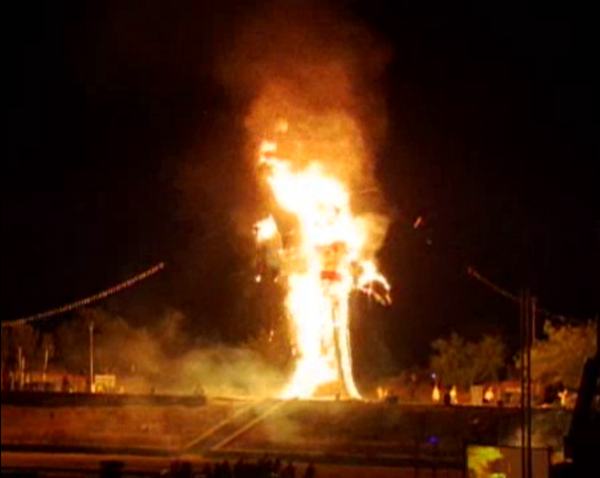 Last week I watched the live streaming video feed of the burning of Zozobra, an annual festival in Santa Fe. Every year, the city of Santa Fe constructs a fifty-foot tall marionette of Zozobra, "Old Man Gloom," and burns it to the ground in effigy. 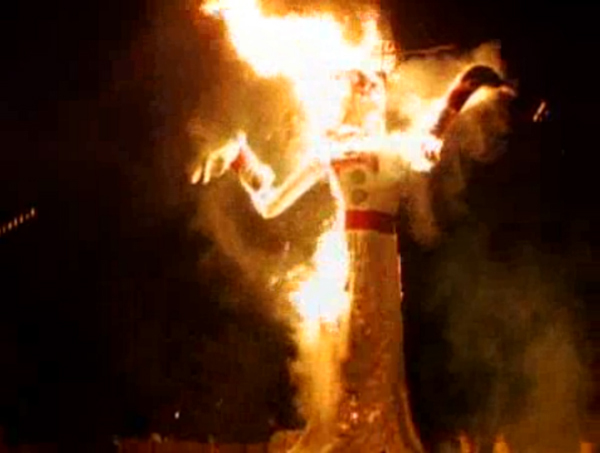 Zozobra flails around on fire, his eyes rolling and flashing, his mouth opening and closing, his arms waving and sweeping (at least until the strings burn through). When Old Man Gloom goes up in smoke, he takes with him all the anxieties, depression, fears and troubles of the previous year. It's surprisingly cathartic, even through a computer screen from hundreds of miles away. When I was a kid, we'd make the trip up to Santa Fe every year to see it in person. Surrounded by massive crowds, with hot fry-bread in my hands and Zozobra looming ridiculously huge in real life, it was a magical and wondrous experience. There's just something about watching the larger-than-life embodiment of misery writhe and scream on fire that's liberating and empowering. 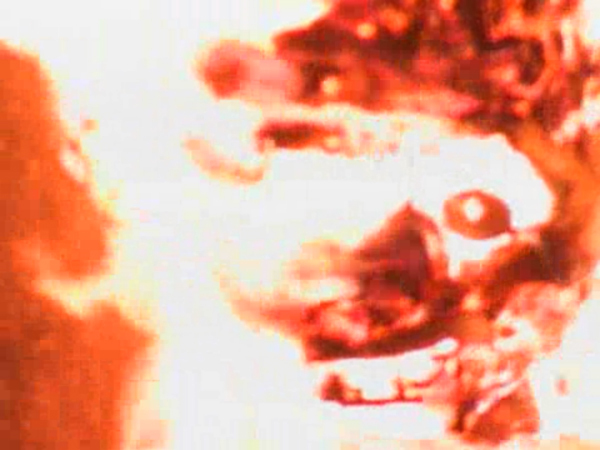 Of course, it's also fun to just watch stuff on fire. No matter the time of year, little-kid me would build mini-Zozobras out of toilet paper tubes stuffed with napkins. I'd laboriously decorate them with magic markers, trying to get the furrow of the massive brows, the grumpy grimace, the bow-tie, just right-- before setting it gloriously alight with a book of matches and watching it burn to ash. I'd make little whispery grumbling and howling sounds to accompany the blaze, and it would always make me feel better for a while. The older I get, the more thankful I am to my parents for giving me these things. Introducing me to Zozobra, going to see the Balloon Fiesta, the cross-country road trips and vacations. The Petrified Forest. The Ozarks. Even the garish and ridiculous spectacle of Branson, MO. Thank you for that, Mom and Dad. And especially thank you for taking me to see Old Man Gloom bite the dust, year after year. Your parents are cool. That is awesome and I love that you watch it burn on the internet every year. How nostalgic! It looks alot like a cross burning.